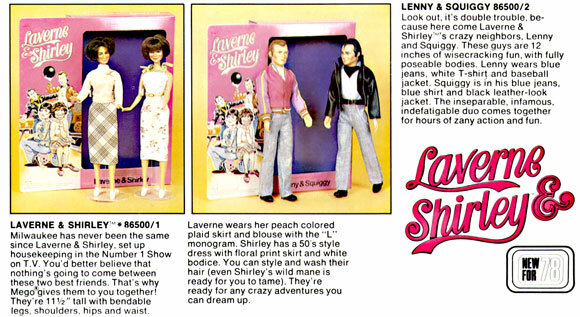 From the 1978 Mego Catalog: The Laverne and Shirley line lasted one year and did not sell well. The 12 inch dolls were not a hit. Sadly they were planned and sculpted at the 8″ Scale. The decision to make then 12 inchers was last minute and the Laverne and Shirley heads suffered as a result of the ‘Blowing up” of the sculpts. The sculptor was not happy.